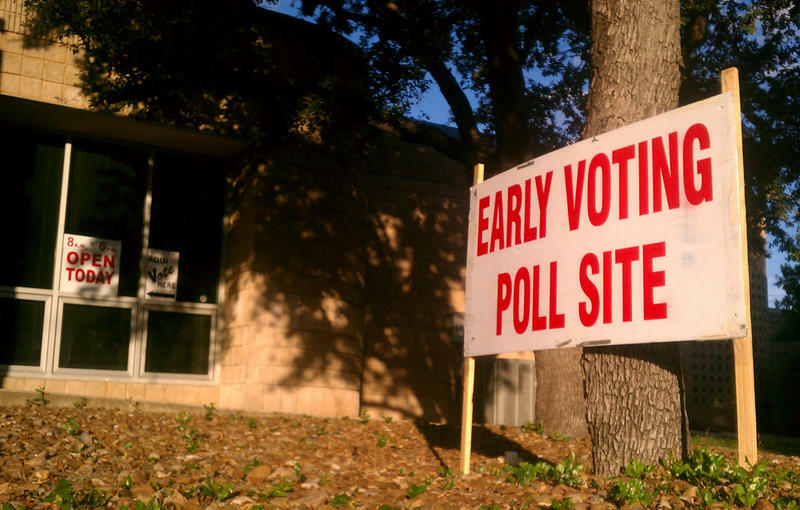 This March, Texas voters will decide who will appear on November’s general election ballot. Primary elections work a little differently from general elections, and the barriers to participation in Texas appear to be higher. Texas consistently has among the lowest voter turnouts in primary elections. In 2016 — even with a battle over presidential nominations playing out — only 21 percent of Texas voters turned out. So, we want to help make participation in primaries easier for voters – by making the primaries themselves easier to understand. For the latest in our Texas Decides project, we want your questions about primary elections — how they work, how to vote in them, what they mean and why they are the way they are. Submit your question below and we’ll answer as many of them as possible before Election Day on March 6! lkanah Tisdale (1771-1835) – Originally published in the Boston Centinel, 1812. Original cartoon of “The Gerry-Mander”, this is the political cartoon that led to the coining of the term Gerrymander. The district depicted in the cartoon was created by Massachusetts legislature to favor the incumbent Democratic-Republican party candidates of Governor Elbridge Gerry over the Federalists in 1812. Texas is one of three states whose legislative maps have landed them before the Supreme Court this term. When you go the the polls on Election Day, it’s the election judge who makes sure everything runs smoothly. Voters wait in line at the Fiesta Mart in Austin. Can Voters Loyal To One Party Cause Chaos In The Other Party’s Primary? In Texas, you can vote in either party’s primary. Listeners asked whether that can affect who ends up on the general election ballot. November 8, 2016: Voters line up outside of The University Co-op across from the University of Texas at Austin. Your polling place might be a government building, a school gym or a neighborhood church. Officials who decide where we vote say those choices are partly based on how many people are expect to cast a ballot in each precinct. Before you head to the polls to vote in this year’s primary elections, here’s a primer on what you’ll need to bring with you, and who’s on the ballot.